Proper oral care requires more than daily brushing and flossing. With a visit to Joseph Anderson Dental for your treatments, you will maintain your healthy and vibrant smile. Turn to us to discover more on our comfortable and affordable dental services in Montgomery, TX, for you and your entire family. From teeth cleaning to root canals, we have you covered with each of our services. We understand that life gets in the way, and it can be easy to let the time fly by between dental exams. Some patients experience anxiety in the dentist's chair, and some simply get too busy and forget to make an appointment. No matter how long it has been since your last visit to a dentist, we are ready to welcome you back. At our stress-free, relaxing office, we perform comfortable procedures. Our dentist offers a number of dental services and treatment options to keep your teeth and gums on track for a bright, healthy smile. We are happy to get started on an individualized approach to treatment that lets you smile with confidence. 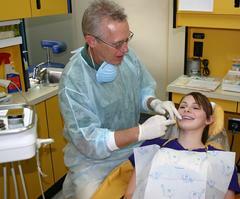 We proudly adhere to the highest standards of dental care. With our comprehensive services, our dental practice has everything you need under one roof. Whether you need standard teeth cleaning, a pediatric appointment for your kids, periodontal deep cleaning, TMJ disorder treatment, or orthodontic services, you’ll enjoy compassionate care from experienced professionals. 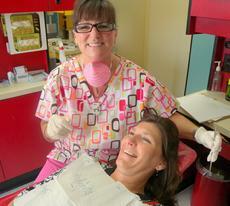 We proudly adhere to the highest standards of dental care. With our comprehensive services, our dental practice has everything you need under one roof. Whether you need standard teeth cleaning, a pediatric appointment for your kids, periodontal deep cleaning, TMJ disorder treatment, or orthodontic services, you'll enjoy compassionate care from experienced professionals. Safeguarding your oral health is an important part of protecting your overall wellness and quality of life. The dental services we provide are integral to preventing and treating infection and tissue loss so that you don't suffer from mouth pain and discomfort. With regular cleanings and exams, your mouth stays protected from bacteria and the buildup of plaque and tartar. Don't hesitate to call us today if you are experiencing pain or sensitivity in your teeth or gums, you have questions about dental hygiene, or you need a consultation for a cosmetic or restorative procedure. Contact us to discuss your service needs with our team. Our dental staff offers options for patients throughout Lake Conroe and surrounding areas, including Montgomery, Conroe, Cleveland, Willis, The Woodlands, Magnolia, Tomball and Houston. © 2019 Joseph Anderson Dental. All Rights Reserved.